Readers who want a less mathematical alternative to the EQS manual will find exactly what they're looking for in this practical text. 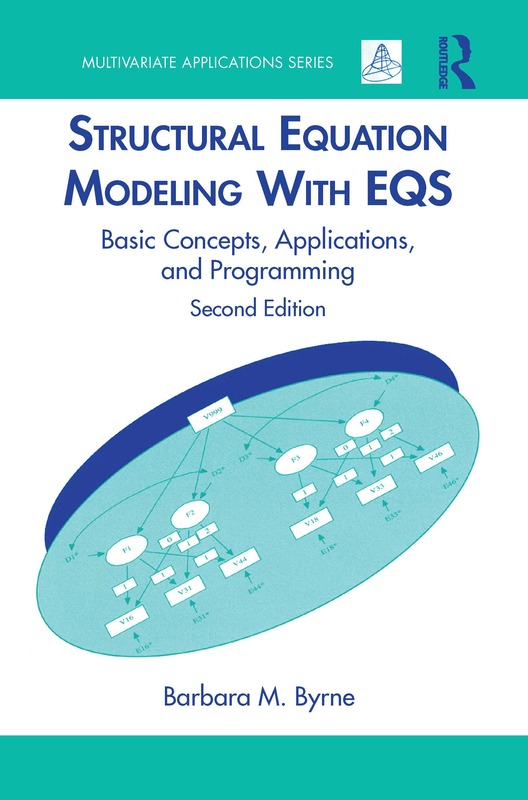 Written specifically for those with little to no knowledge of structural equation modeling (SEM) or EQS, the author's goal is to provide a non-mathematical introduction to the basic concepts of SEM by applying these principles to EQS, Version 6.1. The book clearly demonstrates a wide variety of SEM/EQS applications that include confirmatory factor analytic and full latent variable models. Written in a "user-friendly" style, the author "walks" the reader through the varied steps involved in the process of testing SEM models: model specification and estimation, assessment of model fit, EQS output, and interpretation of findings. Each of the book's applications is accompanied by: a statement of the hypothesis being tested, a schematic representation of the model, explanations of the EQS input and output files, tips on how to use the pull-down menus, and the data file upon which the application is based. The book carefully works through applications starting with relatively simple single group analyses, through to more advanced applications, such as a multi-group, latent growth curve, and multilevel modeling. description of how to build models both interactively using the BUILD-EQ interface and graphically using the EQS Diagrammer.